useful or believe to be beautiful." I really like this quote by William Morris. Not yet everything in my house (no houses for me) is yet useful or beautiful, but it's something to aspire to. A while back Moda released a line "Arcadia" by Sanae that caught my eye, but I never got around to buying yardage since I was still new to sewing. 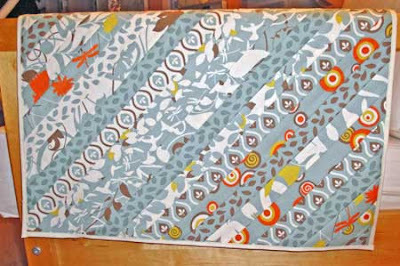 A while back I finally gave in and bought a dessert roll (1.5" strips of all the designs in the fabric line) when it was on sale thinking that I would make a small quilt with it or something. But instead, I ended up using some of the strips to make my boring cork board into a useful and beautiful thing. 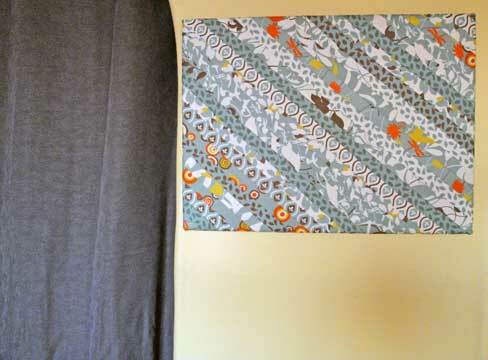 There are a lot of tutorials available on the internet about covering a bulletin board with fabric. Essentially you just cut fabric large enough to cover the front of the board plus some additional allowance to fold over the raw edge of the fabric to cover the back. As an example, the cork board is 17" x 23" so I made sure that the fabric cover was at least 21" x 27" (an extra 2" allowance for each side). I pieced the strips like a string quilt onto a lightweight foundation, finished the raw edges with some twill tape, and then stapled the cover onto the back of the board. The project came together a lot faster than I expected and the pay-off is so much greater than the small effort involved. 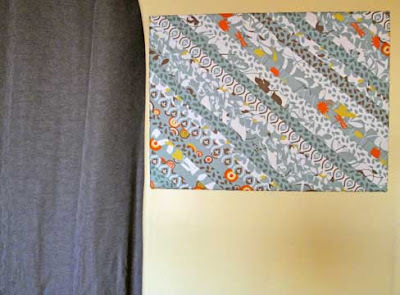 So if you have been looking for a quick design pick-me up, you might want to consider making your own beautiful and useful message board with just a yard of fabric and a staple gun. very pretty. your blog makes me just the slightest bit tempted to try sewing again. just a little.